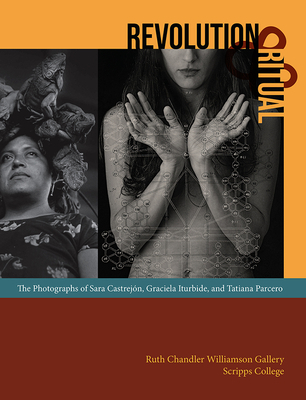 This richly illustrated exhibition catalogue features photographs by three Mexican women, each representing a different generation, who have explored and stretched notions of Mexican identity in works that range from the documentary to the poetic. Revolution and Ritual looks first at the images of Sara Castrejón (1888–1962), the woman photographer who most thoroughly captured the Mexican Revolution. The work of photographic luminary Graciela Iturbide (born 1942) sheds light on Mexico’s indigenous cultures. Finally, the self-portraits of Tatiana Parcero (born 1967) splice images of her body with cosmological maps and Aztec codices, echoing Mexico’s layered and contested history. By bringing their work into conversation, Revolution and Ritual invites readers to consider how Mexican photography has been transformed over the past century. Mary Davis MacNaughton is professor of art history and director of the Ruth Chandler Williamson Gallery, Scripps College. She is the editor of Clay’s Tectonic Shift: John Mason, Ken Price, and Peter Voulkos, 1956–1968 (Getty Publications, 2012).